Dr David A. DeWitt received a B.S. in biochemistry from Michigan State University and a Ph.D. in neuroscience from Case Western Reserve University. 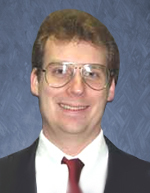 Currently an associate professor of biology at Liberty University, he is active in teaching and research. Liberty University recognized Dr DeWitt with the 2000-2001 President's Award for Teaching Excellence. He teaches upper level biology courses in cell biology and biochemistry as well as ‘History of Life.’ The latter is a required course on the creation/evolution controversy. His primary research efforts have been to understand the mechanisms causing cellular damage in Alzheimer's disease. He has authored and co-authored articles that have appeared in peer-reviewed journals such as Brain Research and Experimental Neurology. Dr DeWitt is also associate director of the Center for Creation Studies at Liberty University and an adjunct faculty member of the Institute for Creation Research in San Diego, California where he has taught graduate level cell biology. Dr DeWitt served on the board of directors of the Alexandra Foundation and currently is their Director of Creation Education. He has written articles and given many presentations on creation/evolution issues. He is a member of the Society for Neuroscience, the Creation Research Society, and is currently chair of the biology section of the Virginia Academy of Sciences. He lives in Lynchburg, Virginia with his wife Marci and his three daughters.